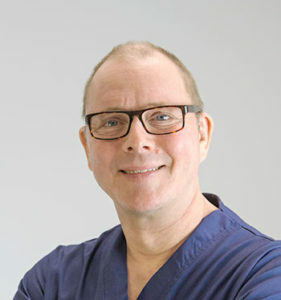 Fredrik Källmark received his BCs in 1982 and his Ph.D. in 2009 at Karolinska Institutet, in Sweden. Until 2015, he worked as a senior lecturer and supervisor at Karolinska Institutet, teaching Optometry and Medical students. He was also an Adjunct professor at the University of Houston, in Texas for 8 years. Dr. Källmark lectures around the world, due to his passion for the diagnosis and treatment of dry eye. His present research focuses on meibomian gland dysfunction in connection with systemic inflammations and corneal erosions. Dr. Källmark is the founder and CEO of Källmarkskliniken, which is the first and only dry eye clinic in Sweden, based in Stockholm and Malmö. He and his staff aim to prevent dry eye and give the best quality of life for dry eye sufferers through clinical work and continued research.